I absolutely love any excuse to throw a party. This past weekend was Sailfest over in New London which means Saturday night was the big fireworks display along the Thames River. So before we all walked down to the fireworks, we filled up on burgers, dogs, and watermelon mojitos. The best part about this table is that I didn't break the bank and I will use everything again. Those super cute checkered place mates are reversible and flip to a nice Nantucket red color. And would you believe those blue plates were only 88 cents? I was just lusting over striped Kate Spade plates but couldn't justify the price seeing as I'm currently unemployed and I don't think the fiancé would quite understand my need for striped plates. If you like watermelon you must make a watermelon mojito! It was so yummy and refreshing. I'm not going to lie, I enjoy dressing for a theme. The Fourth of July is one of my favorite times to dress for. I love this subtly patriotic but so easy to move in outfit. 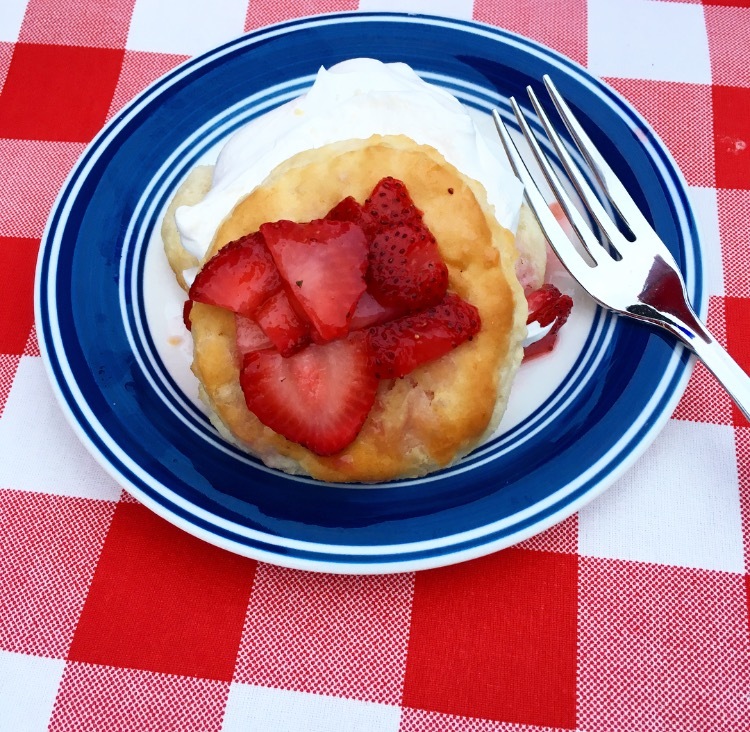 Strawberry Shortcake is such an easy but impressive looking dessert. Make everything ahead of time and then all you have to do is toast the biscuit and assemble! You're out of the kitchen in 5 minutes and back to being with your guests. Bo maybe had the best time out of all of us. He's such a love bug and circled the party in search of who would pet him next.